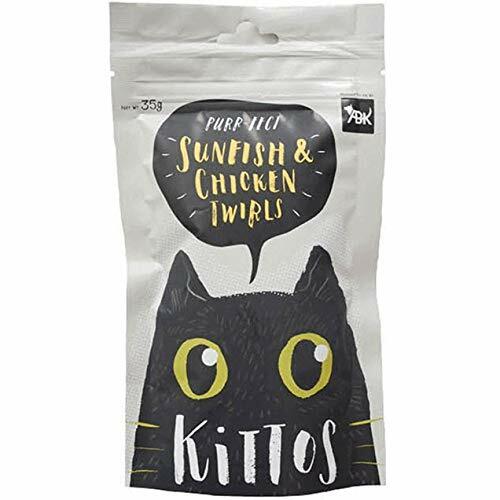 Kittos Sunfish and Chicken Twirls Cat Treat is an ideal treat for your fur babies as the product is an assortment of Fish (40%), Chicken (57.3%), and other ingredients. It also includes 45 percent protein, a good percentage of Fat, Ash and Fibre needed to fulfill the daily requirements. 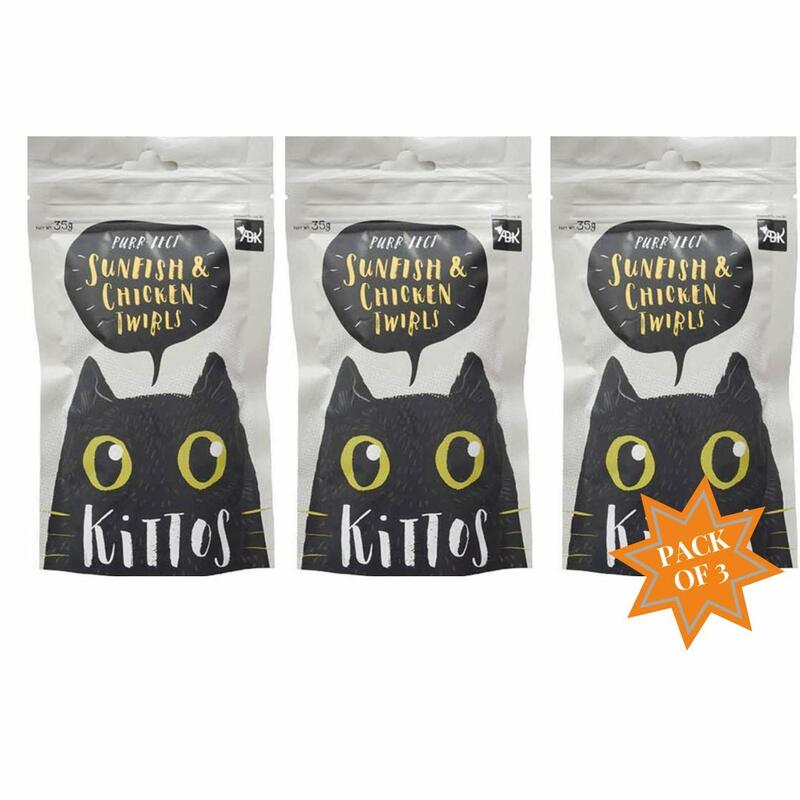 Kittos Cat Treats comes in five different flavors including Sunfish & Chicken Twirls, Chicken Jerky Strips, Snapper Jerky Strips, Salmon Rings, Tuna Jerky Strips, that is a perfect treat for cats. Kittos is a brand dealing in pet products under the company named Shandong Luscious Pet Food Co. Ltd., which is a leading China-Based Company.